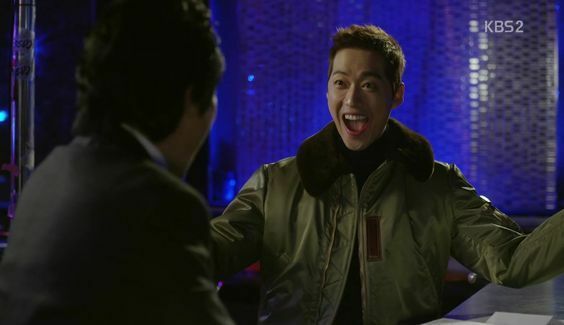 Kim Sung Ryong (Nam Goong Min) is a skilled accountant with the taste for embezzling. He used to work for gangsters but he dreams of catching a bigger fish. He sends his application to the prestigious TQ Group with the intention of getting his biggest score yet. Will he succeed in his mission or will he fight against the corruption within the company? Chief Kim has become the number one Wednesday-Thursday drama in Korea according to ratings at least. 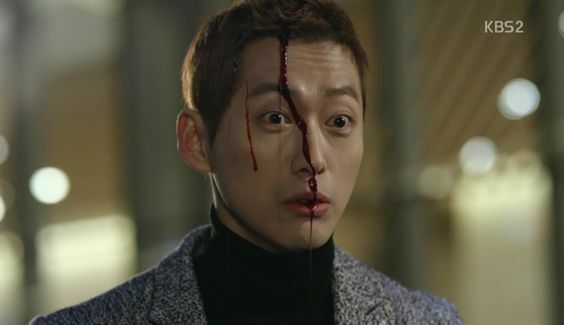 Chief Kim does have its strong points: one of them being Nam Goong Min who has really broken the scary image he earned from his blood chilling roles in The Girl Who Sees Scents and Remember. He seems to have really taken a liken to comedy, which he really can do too. Chief Kim is a man who doesn’t take life too seriously. His dream is to move to Denmark because it is the country with the lowest corruption rate. He keeps a Danish flag above his bead and is studying Danish. Unfortunately he needs a lot of money in order to emigrate. He works as an accountant and he has a real knack for numbers. He has been slowly embezzling from his boss for years but it’s not enough. So, he applies to work at TQ Group and is miraculously accepted. What he doesn’t know is that the company chose him on purpose. They intend to make him forge the company’s books. 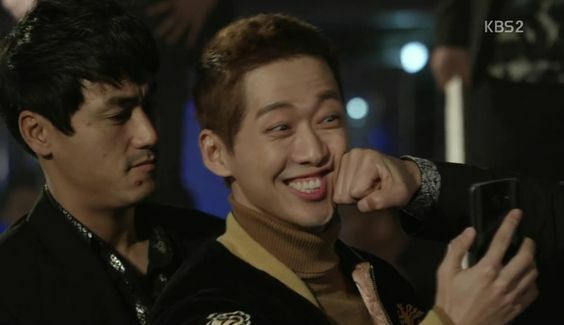 Like I said before Nam Goong Min is right up his alley flaunting his comedic skills. Chief Kim is a man who has decided to live his life only caring about himself. He is egocentric but somehow he comes across as a warm person. Maybe that’s because he is hilarious. Chief Kim can smile while being beaten up, he can scare gangsters using a helium tank and save a woman by accident when he slips on ice. As a result he becomes known as “Mr. Righteous”, even though that is everything he is not. 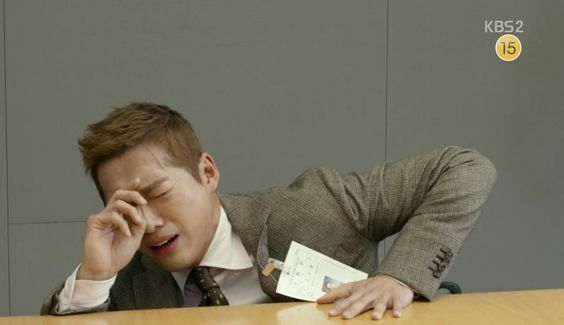 Yoon Ha Kyung (Nam Sang Mi) is a bit hot-headed office worker. She is a regular visitor to the ethical management department of TQ Group. Behind her straightforward words she is a caring and warm woman who fights to get justice for her wrongly accused co-worker. 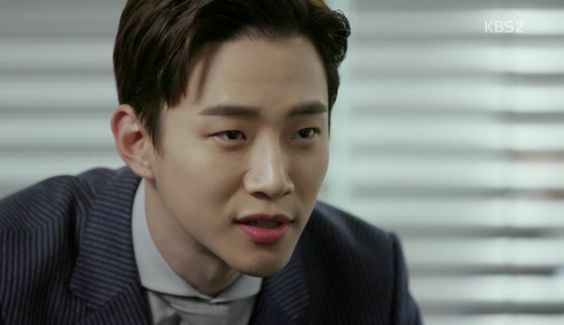 Seo Yool (Lee Jun Ho from 2PM) used to be a prosecutor before switching to TQ Group’s side. He’s a bad guy and has no guilty conscience for it. 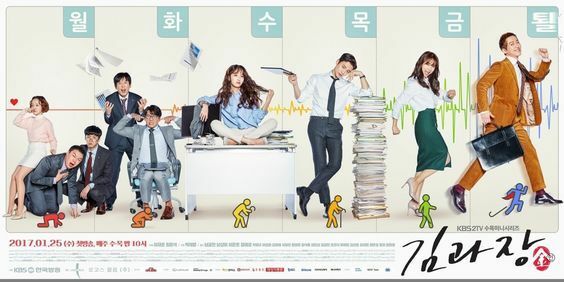 Now even though the first episodes were really filled with humor, credit to Nam Goong Min, now that the office politics is starting to come into play we’re venturing to a darker side of the story. 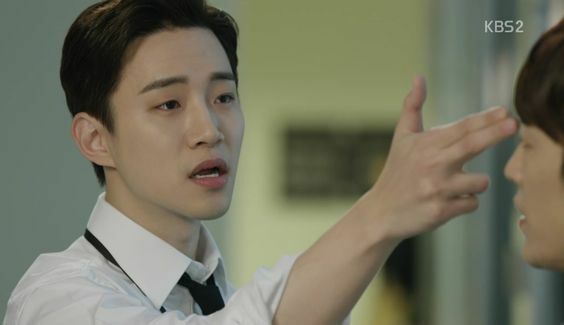 Lee Jun Ho is really embracing his bad guy role and as a result Kim Sung Ryong is starting to realize that he is with a totally different crowd now. I hope that Chief Kim will continue to add humor to its story. It has happened before that the writers have forgotten to add humor as the story progresses. I hope that won’t be the case with Chief Kim. They have a great story line but corporate schemes are not something that will keep me watching. The possible hinted romance between Seo Yool and Yoon Ha Kyung has me interested. It will never work out but it would be something different to see the bad guy enamoured by one of the good guys even before the lines between who is the bad guy and who isn’t are drawn. I hope they get together: it would be great to see what Seo Yool is like when he isn’t busy looking down on everyone around him. 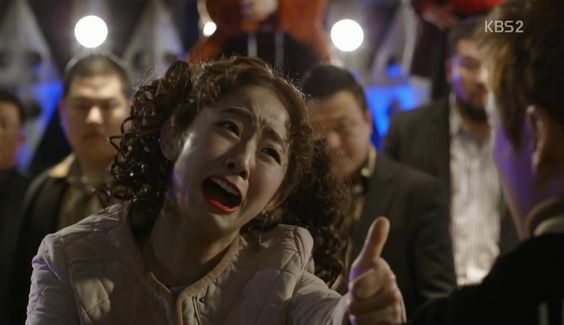 That being said I can’t be the only one who noticed Lee Sang Hun and Song Young Gil’s cameo on the first episode. I love these guys in Gag Concert.